10am - 5pm -- Receive Intuitive Messages, Heart to Heart, From Horses! 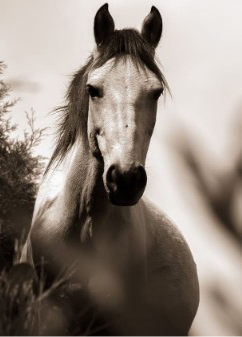 10am – 5pm — Receive Intuitive Messages, Heart to Heart, From Horses! Would you like to actually understand your animals, intuitively? To connect with them mind-to-mind and heart-to-heart? To really UNDERSTAND them? Then this workshop is for YOU! We’ll experience in-depth activities that enable YOU to receive intuitive messages from the HORSES, and then we will take what we learned to our outdoor classroom and experience what the horses have to tell us! After this workshop, you will bring home with you a renewed intuitive connection with your own fur babies at home, that will exponentially deepen your relationship with them. **Includes workshop materials and snacks. Please bring your own sack lunch. Facilitated by: Darcy Pariso, Animal Intuitive and host of Animal Soul Wisdom Radio, and Stacy Lewis, Equine Facilitated Life Coach for Transformational Change! Pre-registration Required. Click HERE to save your spot!